We make saying thank you easy! 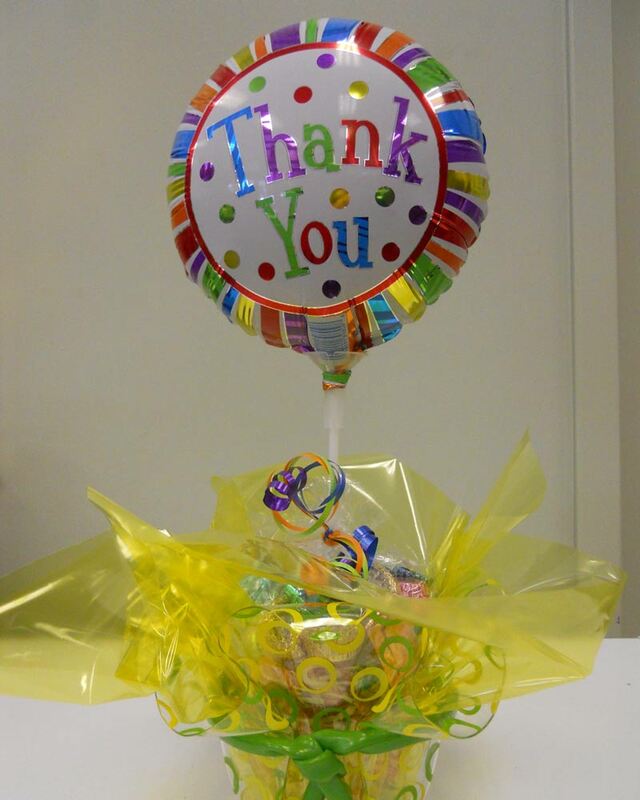 A candy basket with a balloon is a great way to show your appreciation. We are happy to customize if you want to give us a call at 502-583-4933 or you can order online and we will make a wonderful gift for your recipient. 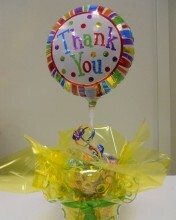 Click the button below to add the Thank You Gift with Balloon to your wish list.